ROME (CNS) — The leaders of the world’s communities of Catholic women religious were warned against accepting an “entitlement creep” that numbs them from confronting poverty and environmental destruction. At the opening session of a triennial assembly of the International Union of Superiors General in Rome, U.S. 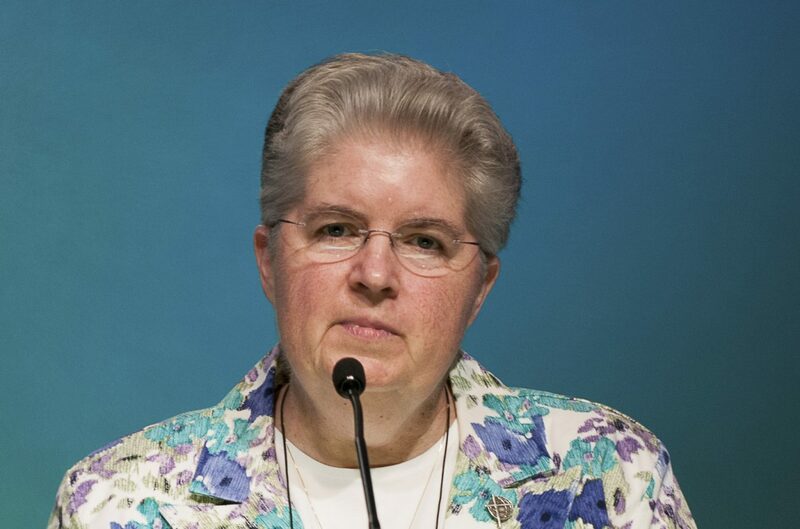 Sister Carol Zinn, a member of the Sisters of St. Joseph, told about 900 women religious representing nearly 500,000 sisters globally that religious life has widely been a “first-world lifestyle” marked by opportunities for higher education and job and housing security. During five days of plenary sessions and meetings, including a scheduled private audience with Pope Francis May 12, the community leaders were to tackle questions of the role of religious life in the world in the light of current global issues, particularly the continuing economic and environmental crises. Maltese Sister Carmen Sammut, president of the International Union of Superiors General and the general superior of the Missionary Sisters of Our Lady of Africa, opened the gathering May 9 by explaining the assembly’s theme was chosen because many are familiar with the “beautiful, complex, patient, creative, skillful work” of weaving. She said the meeting would be an opportunity for the leaders to come to know one another and how religious life is lived in their various contexts. Sister Sammut and Loreto Sister Patricia Murray, the union’s executive director, also updated members on initiatives taken by the group’s Rome headquarters since the last general meeting three years ago. One particular initiative mentioned was the creation of a five-member Council of Canon Lawyers. The members, prominent canon lawyers who are women religious from five continents, are now advising the UISG on canonical matters and will also offer advice to women’s congregations around the world.